I wrote this blog over the summer. Though not specifically about LGBT allyship, it seems to make sense to post it during Ally Week. In other words, my legs apparently Mean Something. The question is, what? In my case, it all started almost on a whim. My son and I were looking at a triathlon magazine, and the guy on the cover had shaved legs. “You should do that,” he said. I hadn’t really thought much about it, though I knew that serious triathletes (and serious swimmers and bicyclists) did. I decided that, despite holding no illusions of ever being a serious triathlete, I would think about shaving my legs some day. I ended up waiting until winter so, in case I didn’t like how they looked, there was time for my leg hair to grow back before shorts season. I’ll be honest. It took a little getting used to. But I did. And as the weather warmed and I began to wear shorts more often, the questions started to come. As they did, I realized that some people assumed - or at least acted as if - I was making some sort of political statement. 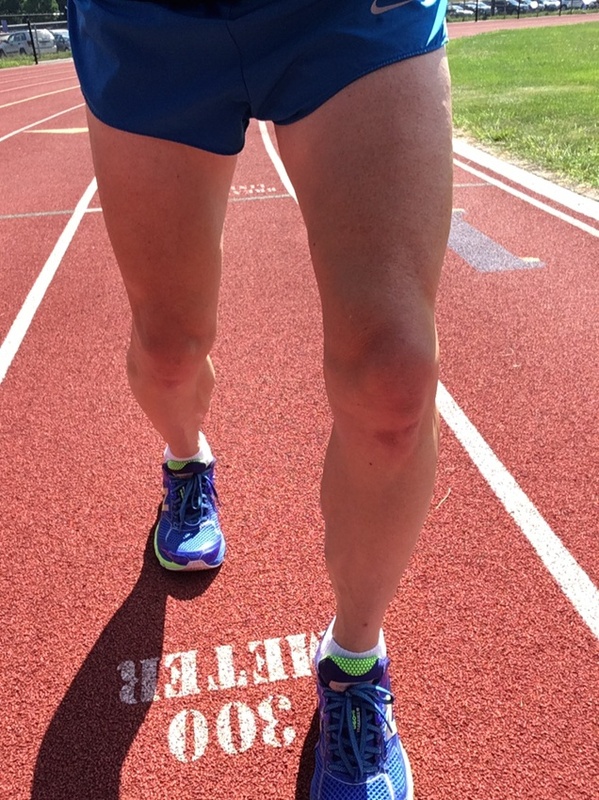 My original intent had been to keep my legs shaved through my next triathlon, but as it happened, I didn’t get the chance to compete that summer. I decided to keep them shaved one more year. And during that time, I decided two things. One, that I actually preferred the way they looked. Two, that I really liked making that particular political statement and wanted to continue to do so. It’s been six years now, and at this point in time, I could see myself never going back. Well, nothing. And everything. Girls are certainly pressured to adhere to social norms, and for many cultures, "femininity" includes shaving legs. If I defy social norms from my end by shaving mine, I believe, it makes me a role model who might make it easier for them to go their own way, whatever expectations society has for them (and as an aside, those expectations do seem to be becoming less rigid). That’s certainly a major plus. It also means I don’t mind being perceived as feminine, which is a strong statement in a culture which still does not particularly value the feminine. That’s certainly another plus. I realize, in the end, my legs are two appendages that enable me to walk, run, and otherwise move about. They are mine, and they look like I want them to. End of story. But if our culture is going to assign meaning to them (and, for now and the immediate future, it seems that’s how it’s going to be), let it be in the service of making a political statement, of undermining patriarchy and bringing about gender equity. There it is. And now, time for a run.